Five years after its last exit from the music industry, Bertelsmann will take control of its restarted music company, BMG Rights Management, in a deal that values BMG at $1.4 billion. The company announced early Friday that it was buying the 51 percent stake of BMG owned by its partner, Kohlberg Kravis Roberts. The companies did not comment further on the deal, which is expected to close in the first half of the year. But a person with direct knowledge of it, who spoke on condition of anonymity because the terms were confidential, said the purchase price was between $700 million and $800 million, including debt. The deal signals a full return to the music business for Bertelsmann, the German media giant that also owns Random House and the magazine publisher, Gruner + Jahr. 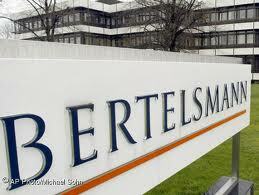 After building BMG into a global powerhouse in the 1980s and 1990s, Bertelsmann sold most of its music holdings through a series of deals with Sony and Universal in the mid-2000s. Then it restarted BMG in 2008. With $270 million invested from KKR, BMG then made a string of acquisitions, mostly in music publishing, the side of the business that dealswith the copyrights for songwriting and is seen as less vulnerable to the marketplace changes that destabilized the recorded music industry. BMG quickly built a catalog of more than one million songs by musicians ranging from Johnny Cash and Quincy Jones to Duran Duran and Will.i.am of Black Eyed Peas. It has also bought some recorded music assets, but lost out on recent major label auctions, including the Warner Music Group in 2011 and the Parlophone Label group, part of EMI, earlier this year. Mr. Rabe has said that he expects BMG’s annual revenue to grow to more than $640 million in the next four to five years, up from about $390 million in 2012. Hartwig Masuch, the chief executive of BMG, said in an interview on Friday that with Bertelsmann as its sole owner, the company could be “more aggressive moving forward” in developing its business, particularly with more recorded music rights.